Welcome to The-Digital-Picture.com, one of the largest, most-trusted and most-long-established DSLR and mirrorless camera, lens and photography accessory review sites! Established over decade ago, this site is providing clear, solid, independent photography and gear advice to over 6.5 million people annually. You are here because you want great pictures – We are here to make your images amazing! We can show you the gear you need to capture them and provide advice in the use of that gear. Bookmark this page now! Because you are going to want to come back often to use the vast resources available here – and to stay up to date on what is happening in the photography world via our news page! The-Digital-Picture.com aims to be a voice of clarity in a world full of noise. It is a marketing department's job to tell you that they are (always) delivering amazing products. We (you and I) know that what the design and production departments deliver is seldom completely in-synch with what marketing is telling us. This site aims to concisely (your time is valuable) tell you what you need to know about cameras, lenses and related accessories while providing in-depth product details unavailable elsewhere. A huge effort is made to deliver accurate reviews trusted enough that, included in this site's visitor count, are employees of some of the largest photographic retailers in the industry. I am confident that you too will find the reviews invaluable! Uniquely qualifying the advice given here is that, with very few exceptions, I have owned at least one copy of every Canon DSLR camera and lens that has been sold in the last 15 years, plus many discontinued Canon models and many Nikon, Sigma, Tamron, Tokina, Samyang, Sony and Zeiss lens in addition. As you know, the best lens is only the best lens for you if it fits within your budget, if it delivers the image quality you need, if it has the right focal length range and other features you need. Let this site guide you through the DSLR camera and lens selection process. The site's comparison tools let you see a camera and lens' performance with your own eyes. The test results are useful for not only evaluating one camera or lens' performance, but for directly comparing results to those of any another camera/lens – at your choice of focal length and aperture settings. If you cannot see the difference in our test results, you will not likely see them in your images. Our lens test file folder has over 75,000 painstakingly-captured test files in it. These test results are captured in a specially-equipped lab environment. Don't miss our incredible, extremely-popular Lens Image Quality Comparison Tool featuring actual image crops of an enhanced ISO 12233 Chart test target. Be inspired! 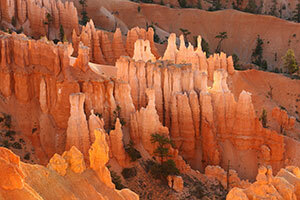 Visit the site's sample picture galleries to view quality sample pictures captured with specific cameras and lenses. Discover what the camera or lens you are interested in is capable of. Become a better photographer by reading the comments and tips presented here and by learning the camera and lens settings used to capture the images. 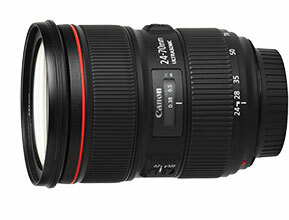 Canon is producing an incredible line of lenses. Learn what you need to know about used lenses (do you really save money by buying used? ), gray market lenses, the age of a lens and much more information relevant to the Canon EF, EF-S, EF-M, TS-E and MP-E lenses. Having great gear is only part of the photography equation. This site will help you use, protect, maintain and travel with that gear. Cameras and lens are typically popular for a good reason. There is some aspect about these models that make people want to buy them. 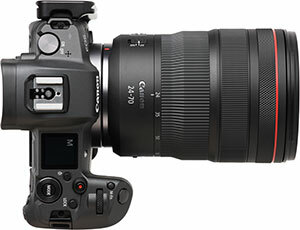 The list of cameras and lenses are the most popular models on this site.